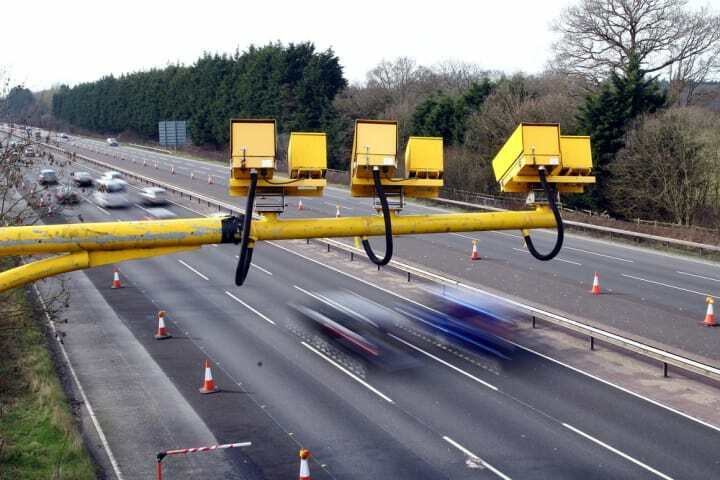 If you’re one of those motorists who’ll go out of their way to avoid average speed cameras, most commonly found controlling road work speed limits on motorways, then the latest survey from the RAC won’t offer much cheer. The motoring organisation polled over 2000 motorists and an overwhelming 79 per cent say that average speed cameras are better at slowing down vehicles compared to just nine per cent who thought the single location cameras were more effective. However 70 per cent of those polled did feel that the latter are effective at getting drivers to slow down at a specific location, but 80 per cent said they made little different beyond their location. By contrast 86 per cent felt average speed cameras were effective at getting drivers to stick to the speed limit, compared to the 12 per cent who didn’t. Over three times as many motorists felt they were fairer on drivers than for the fixed variants. From those who thought average speed cameras were fairer to motorists, over eight in ten claimed that they promote a smoother driving style and more consistent driving speeds, compared to drivers hitting the brakes when passing fixed cameras. Over half also felt they were fairer to drivers accidentally drifting over the limit briefly, and 17 per cent said that the signage used is better and easier to take in. Despite this, opinions about speed cameras remain divided amongst drivers. Only a third of those polled believes that they are intended to improve road safety, with another third claiming that they are to raise money as well as promote safety. Just over a quarter reckon they exist just to raise cash. Is it a Car? Is it a ‘Plane?